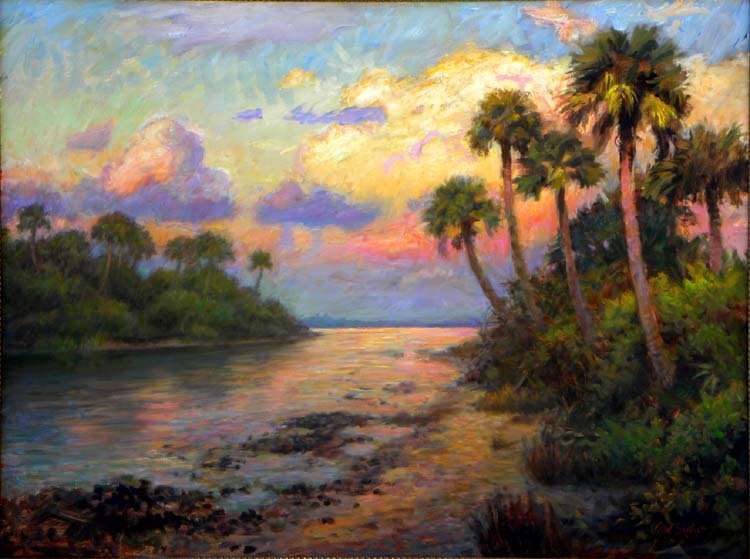 Syd Entel Galleries and Susan Benjamin Glass will host a Meet the Artists reception from 6 to 8 p.m. on Saturday, April 6, to announce the opening of their new exhibit, “Old Florida Meets New Florid a.” The works of artists Sally C. Evans and Tom Sadler will be on display at the gallery in Safety Harbor through May 4. The artists will give an Artist Talk about their work at 6:30 p.m. during the reception. Sally C. Evans and Tom Sadler have dedicated their lives to painting, and for the past ten years have been devoted to each other in marriage. 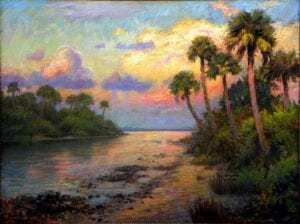 While their works are totally different, both in style and content, the pair are both dedicated to depicting Florida’s beauty. Each artist has a long list of awards and prestigious accolades. Sally C. Evans works in acrylic and pastels and loves strong lines and bold bright colors that have a distinctively contemporary look, while Tom works in oils. His work is more detailed, like the classic Old Masters’ works, with soft edges and lots of layering of glazes. What visitors will see in the new exhibit will be the contrast between Expressionism vs. Impressionism, with both genres steeped in Florida’s beautiful landscapes, waterways and foliage. The show is open to the public. Gallery Hours are Tuesday through Friday from 9:30 to 5 and on Saturday from 10 to 3. Syd Entel Galleries/Susan Benjamin Glass Etc. is located at 247 Main St. in Safety Harbor. 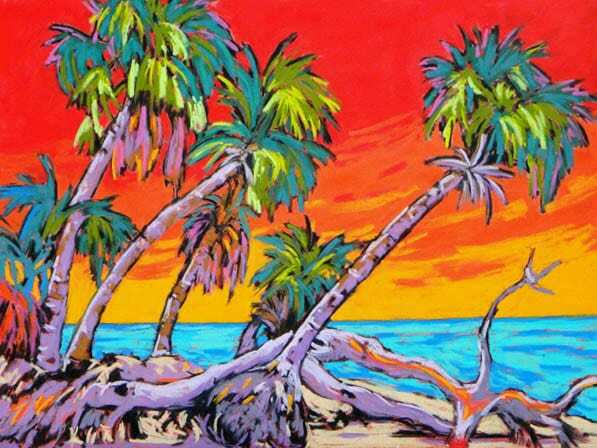 For more information, call 727-725-1808 or go to linda@synentelgalleries.com.